John England was born in Cork City, and baptised North Parish (Cathedral), 25th September 1786, the son of Thomas England and Honora Lordan, whose Godparents were; John Walsh and Catherine Moylan. For now it is unclear who Catherine Moylan may have been. Before that time we know very little of the family history. It is said that Thomas came from Tipperary, but then some say that he came from Enniskeane, and apparently was an architect. His father was called John and was according to family records, at one time imprisoned under the Penal Laws of the time. Honora is said to have come from Dunderrow. The two witnesses at the marriage were Honora’s brothers, Thomas and Timothy. It is believed the family in general did not approve of their marriage. John Bishop of South Carolina. Thomas Richard Died as Parish Priest at Passage West. Ann Married Michael Joseph Barry. Their son Michael Joseph Barry, the renowned Poet-Lawyer. Edward Edward carried on the tobacco business in Blarney Lane. He also had a similar business in Castle Market Street and was a city councillor. He married an Amelia Nunan and the couple had up to ten children, some of who apparently died in infancy. Mary Elizabeth She entered the Presentation Order in Cork in November 1811 as sister Catherine; she became Mother Superior of the North Convent where she died in July 1872. Joseph He had businesses in the city although it appears he was declared bankrupt in March 1861. He died in 1868 and is buried in St Joseph’s cemetery. Johanna Monica Presentation Sister. She accompanied her brother to South Carolina, but died in 1825 of yellow fever. John's mother died, 31st December 1820, as reported Saunders Newsletter, 5th January 1821. Between 1774 & 1775, Bishop Francis Moylan (1735–1815) was Parish Priest of South Parish. He was appointed to the Sea of Cork 1786, the same year John England was born. Bishop Moylan would be a significant figure throughout England children’s lives until his own death in 1815. When Bishop Francis Moylan acquired a plot of land in 1790 on which to build a Cathedral, he also envisaged plans for a seminary on the site; his third attempt. A seminary was a matter of concern for both Francis Moylan and Dr Florence McCarthy. About 1803, John enrolled at the recently opened St Patrick’s College Carlow, the seminary being used by Dr. Francis Moylan to prepare students for service in the diocese of Cork; where he studied for the priesthood, until his ordination. John England was an extremely controversial figure, angering many of his contemporaries. In particular, England objected to the government’s ability to veto appointments of Catholic Bishops. In May of 1808, John founded a monthly periodical, the “Religious Repertory”, which was “Intended to be a literary agent of reform for the “lower orders of society”” and gained here the first experience of journalism. The journal’s editorial tone shifted from 1809 when it stressed the passive virtues of survival, to 1815 when it preached activism. At the heart of this transformation was the dispute over the Veto, the proposition that the Irish Catholic hierarchy should, in exchange for Catholic emancipation, grant to the British Government a veto over Episcopal appointments. On this matter, the Vatican and Irish leadership wavered, with the exception of Daniel O’Connell, John’s friend and associate. These issues were not debated in the “Religious Repertory”, but in the “Cork Mercantile Chronicle” of which John England became a trustee in 1813. On his return to Cork from a visit to Dublin, John England receive his Holy Orders, being made Deacon on 9th October 1808. The following day was ordained by Bishop Francis Moylan in the Cathedral of St. Mary, Cork, the same year in which the Cathedral was dedicated. He was the first priest to be ordained at the new cathedral, requiring dispensation, as he had not attained the 'age of canonical knowledge'. On the death of Francis Moylan, 10th February 1815, Dr. John Murphy was consecrated Bishop of Cloyne & Ross. The same year, 8th August, John England solemnised the marriage of his brother, Michael and Mary Bransfield, North Parish. The Catholic hierarchy rather feared John England's influence, so much so a memorial sent to Rome signed by nearly all the Bishops of Ireland requesting that he be appointed to some vacant foreign See. Some seemed to fear that on the death of Bishop John Murphy, John England might be elected his successor. Bishop William Coppinger on the other hand entertained a great regard for John England, and had an appreciation of his talents. He, therefore, refused to sign the memorial. 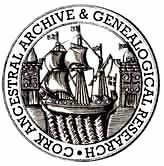 He was subsequently consecrated bishop at a ceremony in St. Finbarr's South Church, Cork on the 21st September 1820; the same church where his parents were married, and where his nephew, John England, married the first of the O’Connell sisters some fourty years later. "On Monday, the 10 of July, 1820, I received in Bandon a letter from the Reverend Henry Hugh, dated June, 1820, at Rome, informing me that on the preceding Monday I had been appointed Bishop of Charleston, in South Carolina, and requesting me, for various reasons therein alleged, to accept of this appointment. September 21st, I received the grace of Episcopal Consecration in the Catholic Church of St. Finbarr’s, in the city of Cork, from the Right Rev. Dr. Murphy, Bishop of the Diocese, assisted by the Right Rev. Dr. Maram, Bishop of Ossory, and Kelly, first Bishop of Richmond (Virginia), whose appointment was subsequent to mine, but whose consecration took place at Kilkenny on the 24th of August. There were present, the Most Rev Dr. Everard, Archbishop of Mytelene, coadjutor of the Most Rev. Dr. Bray, Archbishop of Cashel, and the Right Rev. Drs Coppinger, of Cloyne and Ross; Sughrue of Ardfert and Aghadoe (Kerry), and Tuohy of Limerick. October 11th, I having many application from priests and candidates for places on the American mission, I have my brother, the Rev. Thomas R. England, and the Rev. Thomas O’Keeffe, my Vicar-General, for the purpose principally of selecting of those as I may afterwards want, and if necessary having them ordained. This day was the anniversary – twelve years – of my ordination to the priesthood. On this day I departed my family to go whither I thought God has called me, but whither I had no other desire to go. Should this be read by a stranger, let him pardon that weakness of our common nature which then affected me, and does now after the lapse of three months. 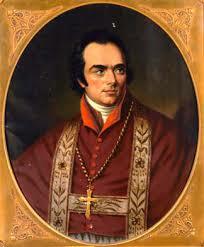 Bishop John England died in Charleston on 11th April 1842.